The MB Enduro race, an integral part of the MB Race, consists of 5 timed races (down-hills) and 4 linked stages (up-hills). The riders start out one by one and whoever finishes in the shortest time wins! The routes are laid out along the Portes du Mont-Blanc area. 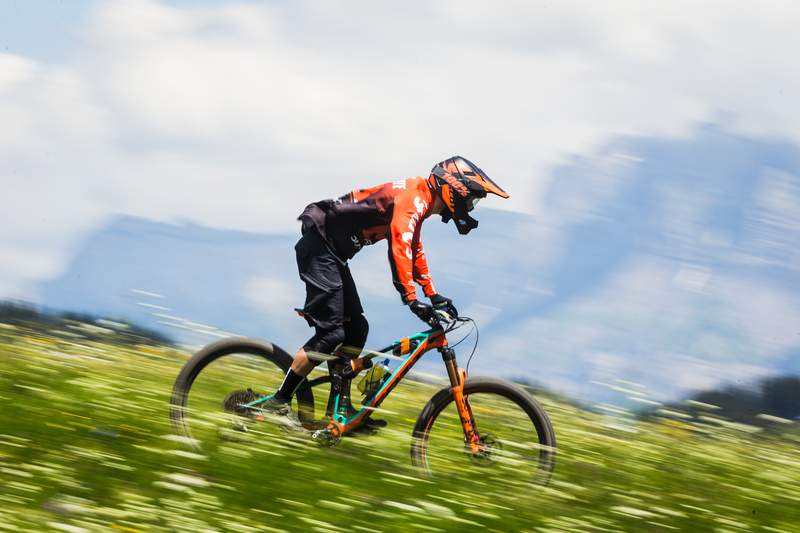 Technically demanding, with single track, banked corners and fast sections, this race is generally a whole lot of fun. With its one-day format and its improvised riding style (without reconnaissance), the MB Enduro is seen as an old-school kind of race. It has a faithful following, thanks to the high-quality trails and the fun, upbeat atmosphere!